Understanding Anatomy . Why it is Important. The Patellofemoral Joint. Having recently met for my regular research meeting with an anatomy colleague of mine, it reminded me of the importance of anatomy and why we should understand it. There has been controversy recently about the need for cadaveric teaching, the need for detailed anatomy, and from some quarters a push for moving right away from this ‘dry’ anatomy. I would like to take this opportunity to argue for its role, certainly with respect to understanding and treating patients with patellofemoral pain. One of the counter arguments is that we need to consider behavioural response to pain, and not especially the source of the pain, particularly in patients who have central sensitization. However, I would ask how easy it is to understand and spot non-mechanical pain if you do not understand mechanical pain in the first place? At the recent Patellofemoral Research Retreat that I attended there was a lot of focus on patellofemoral pain as a continuum with patellofemoral osteoarthritis. In line with this question there was interest around dysplasia. I personally am very interested by patellofemoral dysplasia and think that it is seen on a huge spectrum with many patients showing subtle anatomical variation. Dysplasia is such a good example of where understanding the anatomy really helps to alter treatment. So, for example if a patient has a lateralized tibial tuberosity I understand they will find it hard to absorb medial femoral rotation, so I think of particularly addressing horizontal plane control. In contrast someone with a long patella tendon, (patella alta) will take longer into flexion for their patella to engage, and hence receive stability from the trochlea. Understanding this anatomy leads me to focus their dynamic control work in the early ranges of knee flexion. Understanding anatomy also helps me to understand potential tissue damage after dislocation, and helps me give out realistic prognosis and know when to refer on for a surgical opinion. So, for example take the medial patellofemoral ligament. This poor old ligament doesn’t even get a mention on the physiotherapy degree, and yet it plays a major part in stabilizing the patella. If I suspect a rupture after dislocation, I need to get this looked at. Anatomy is also at the centre of my current research on the VMO. Our group our looking at the changes in fibre angle and insertion onto the patella, and forming a new paradigm as to what might be happening when we do quadriceps exercises. Understanding the anatomy helps to potentially identify who are good candidates for hypertrophy work. Understanding anatomy further helps us work out what is the likely dysfunction when structures get tight. So, for example by understanding that the ITB itself cannot be stretched, but its contractile proximal attachments of gluteus maximus and tensor fascia lata can be, and by understanding that the distal ITB attaches to both the tibia and patella, I can understand the potential alteration that can occur if these structures get tight. I do not for one-minute want to send the message out that understanding pain science and/or the psychosocial part of biopsychosocial is not important. It is very important, as evidenced by blog my on activity modification (http://www.clairepatella.com/activity-modification-in-the-treatment-of-patellofemoral-pain/ ). However, it is my belief that a deep understanding of applied anatomy has a definite place for anyone treating patients with patellofemoral pain. Hi Diane, I think when we roll the "ITB' we are actually influencing the VL tone which in turn might alter the ITB tension, and certainly effects to the VL can impact on the patella. Hope that helps. Interesting that you say runners are aware of their gait imlbcanaes. I think with the recent information regarding minimalist running, people think they know a lot because of what they read, but, an actual understanding as regards to their own bodies, I often find lacking. And, it is true that often ankle/foot mobility is lacking in many people. And, then, there are the cases where there is too much mobility or unequal mobility LE to LE. Thanks for reading and commenting, I love it! It certainly is a complex topic. I'm glad you enjoyed the blog. Hi Claire, Agree wholly about potential to influence VL tone on foam rolling. Can't think it does anything else but apply a short term fix! All those that I see who spend hours painfully rolling a tough structure like the ITB never get any long term value and often don't understand why. Education on the anatomy of the ITB for me is the key to clueing them in. I gave up on rolling mine long ago when realising how blinkin sore it is!' 🙈!! Hi Claire, I always find myself, as an MSK physio, coming back to your site as it is so informative and evidence-based! So thankyou! haha. 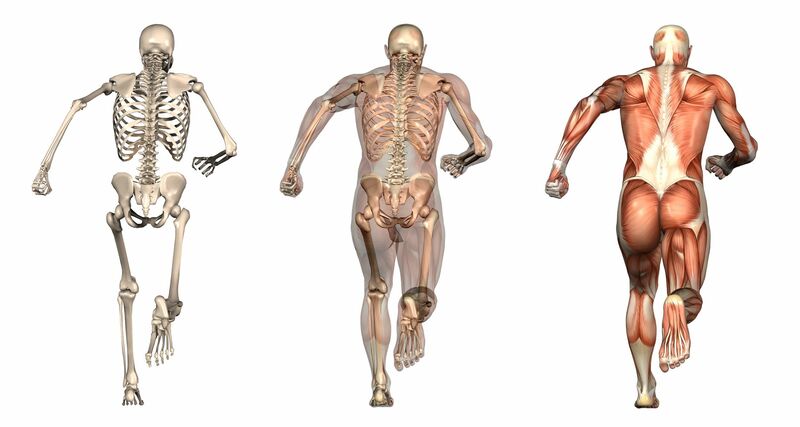 Above, you mention about the effects of a lateralised tibial tuberosity; could you guide me to any research regarding which explains the biomechanics in more detail (in regards to the PFJ)? Thanks in advance. Caroline.